When I hear that word, I don’t think of a punishment that my parents levied when I was young. Instead, it takes on a far positive connotation, one of gratefulness this time of year, when I have the chance to reconnect with my childhood friends and family. 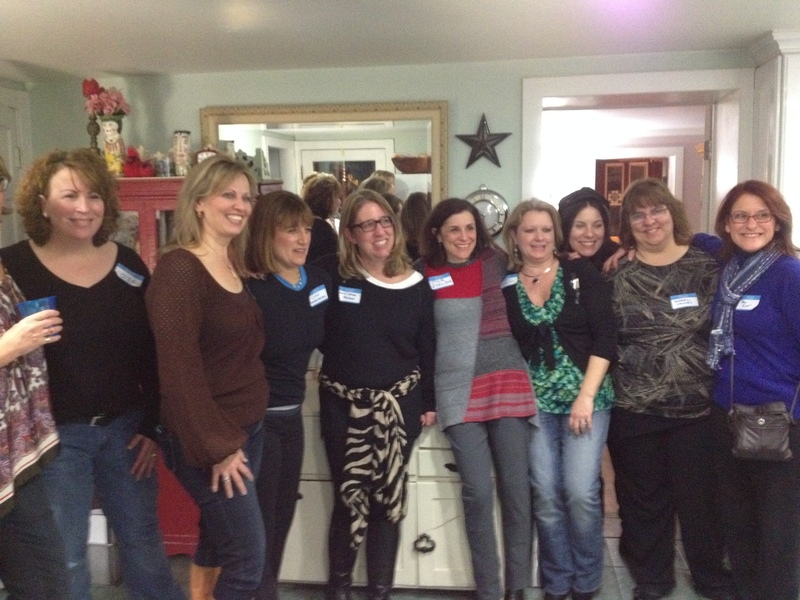 Last night, one of my long-time friends hosted a reunion of my elementary school class. While I remain in close touch with several of those I have known since I was five-years-old, there were many that I remembered fondly and had not seen in forty plus years. It’s an odd feeling seeing someone when that much time has passed between you. But I found conversations to be effortless; the childhood memories we shared so vividly allowed us to easily bond decades later. A common theme among this group was the simple lives we led, unencumbered by adult intervention. I recalled sleepovers where my friend and I played endless rounds of “Mystery Date,” the board game where you pick a card (or is it spin the wheel? I forget) and hope that the photo of the handsome man in a tuxedo will be there, instead of the “dud.” How would parents of today react to such a board game? We played that game in my friend’s attic in a tiny residence that housed a family of eight. It never seemed particularly cramped to me, but instead full of vibrancy. We reminisced about riding our bikes or walking to each other’s homes without keeping our parents apprised of where we were. In this city of one square mile, a historic neighborhood with sidewalks, we all lived within blocks of each other. And we were raised in humble surroundings. Many parents were working class; the houses were often 1,000 square feet or less. As the family size and incomes grew, many, mine included, moved to larger homes in the same city or left the school district entirely. But I think the common thread, based on this evening spent reconnecting, was that we had a firm foundation, a place full of supportive friends and family who were there when we needed them. It was a situation that allowed us all to try out independence and charting our own course. Many people are eager to shed their childhood skin, moving far away from where they grew up and happily never returning for reunions or to see old friends and family. I feel grateful that I was launched in such a supportive environment. A village raised me and I welcome the chance to return to that place whenever the opportunity arises. My daughter was sitting at the kitchen table recently, overwhelmed with school work and keeping up with her many tweets and texts when she had a revelation: “Mom,” she said, “I think it’s much harder being a teen today than it was when you were my age.” I replied, “Yes, I couldn’t agree more.” Between the rigorous demands of schoolwork and extracurricular activities required to get into any respectable college and the relentless intrusion of social media that prohibits teens from ever unplugging, it’s rough being a teenager today. Young people feel the pressure to be perfect that they see manifested in Twitter feeds that show everyone else having a great time. Media image of coifed models greet them at the persistent click of a button. Online bullying has become commonplace. All of this is taking a huge toll on our teens. I repeatedly speak with other parents who share their stories of children in desperate need of mental health services. High school was once a time to be carefree. But so many teens spend these years engrossed in worry. It’s no wonder that many indulge in dangerous alcohol abuse as a response to the pressure. My daughter, an editor of her high school newspaper, plans to write an article about how teenage life today compares to that of a generation ago. I hope, in doing so, she’s able to shed some light on what we’re doing wrong, so we as a society can figure out ways to do it right before our youth are further compromised.